Last Thursday evening, the Vault at the IIIC was a hub of excitement as the graduation ceremony for the Clanrye Wider Horizons Program took place. Clanrye Group is based in Newry and has partnered with the IIIC for ten Wider Horizons Programs to date. Kieran Taggart, Senior Supervisor for the group was instrumental in making the program a success in Boston with his support of and guidance for the group. We were delighted to be joined by the Program Director from Clanrye, Rachel Duffy for this special evening. The evening was a lively celebration of the group’s successful completion of the overseas phase of the program. Seventeen young people from Ireland, North and South, have been in Boston for the past six weeks, volunteering in local non-profit community organizations and living with host families all over the Boston area. The unofficial theme of the night was confidence building. Many participants reflected on how the program helped them to figure out who they are and what they would like to do when they return home. The most touching part of the evening were the speeches from the individuals in the group. They were heartfelt, moving and brought tears to the eyes of everybody in attendance. 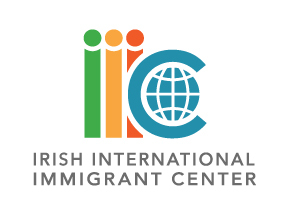 It was a successful evening and the IIIC is proud of all the participants and their hard work over the last six weeks. The IIIC was delighted that Vice Consul Jillian O’Keeffe was able to join the group for the evening. She gave a wonderful speech touching on the sense of community that was present in the room and complimented the group on how well they had adjusted to their new life in Boston and commended them for stepping outside of their comfort zones. A big thank you and heartfelt appreciation to all of the host families for opening their homes to the group and to the host organizations for providing these young people with the opportunity to gain invaluable work experience and skills while in Boston. The group returned home on Saturday to complete the final two weeks of the 18 week program. We wish them every success for the future.